The start of winter is less than one month away in the northern hemisphere and it definitely feels like it's here already as it's been very chilly in Manchester! I'm thinking about winter helpers now because there seems to be the annual cold going round and all I want to do is have a lush bath with my pampering products and to look after myself now that the weather is colder. I've started to get back into my exercise routine recently after I've been neglecting it for a couple of months and I have to admit that I'm definitely a little out of shape! I have a crosstrainer at home which is what I use to exercise with as it's just so easy, rather than using a DVD or numerous pieces of equipment. However, it can be a little tough on my thighs and abs after a while of not using it consistently but this shower gel is a great post exercise product. It contains peppermint oils which are great for tired muscles which mine definitely are! I was very kindly sent two of the Fit Kit post exercise shower gels and the second is the skin soothing option which contains olive triglycerides for protecting the skin from dehydration. Both of the products are 98.4% natural which is great especially as I have fairly sensitive skin and they are also cruelty free and vegan! 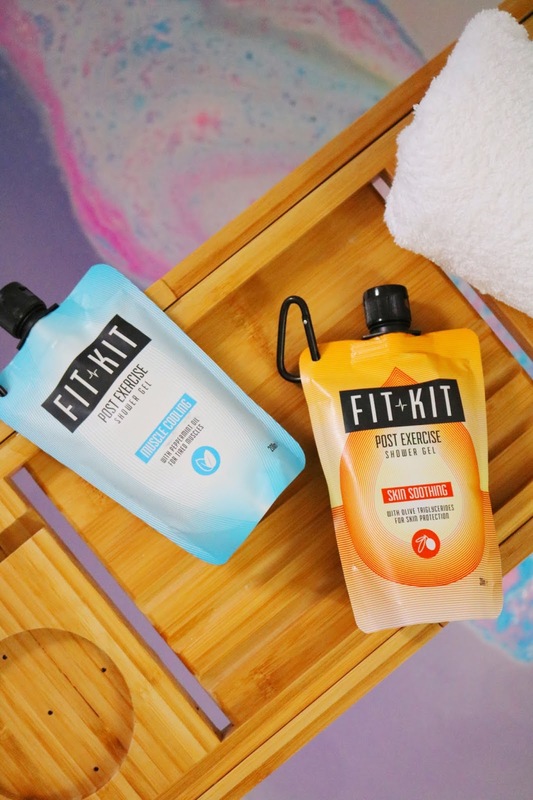 I love using both products from Fit Kit and I think they'd make wonderful stocking fillers for gym lovers. One area that I always seem to neglect, especially during the harsh winter months is my hair. I have always had a love/hate relationship with my hair but since getting 8 to 9 inches cut off this summer, I'm loving it so I want to make sure it's well protected and nourished, particularly as I do colour my hair every few months. I was very kindly sent a few products from Fabriah which is a great site for professional beauty products, in particular haircare. One of their best selling brands is Merlin Professional and I was sent three of their products. The first is the nourish plus shampoo which contains lecithin and carbohydrates to strengthen and moisturise the hair while providing colour protection. I have to be honest and admit that I'm not a fan of the packaging at all, I think it looks very old fashioned and I also don't love the scent; however it is very effective and leaves my hair very smooth, moisturised and easier to manage which is fantastic. I need to start using more hair masks and treatments as they really help my hair and prevent it from looking dull, unhealthy or dry and this mask is fantastic! I've only used this mask a couple of times so far as it is a weekly treatment but I'm loving it as it's leaving my hair beautifully healthy looking, nourished and moisturised each time which is what my hair is lacking during the autumn and winter months. Last but not least for the products from Fabriah is the Merlin Papaya Power Sealer which is the product I've used the least and that's only because of the nature of the product which is to be used on damp hair after washing and leave it for 5 to 10 minutes then rinse it out which doesn't fit with my quick, in and out everyday shower routine so I tend to pick this product up far less than a mask, for example. As well as my hair, my teeth and gum health is something that I rarely think about, if I'm honest but it's something I could pay more attention to! The Breathe Co Oral Rinse in the clean mint flavour is a very quick and easy product that helps to support health gums, protects from plaque and it improves the appearance of unsightly gums too as it isn't just a mouthwash. 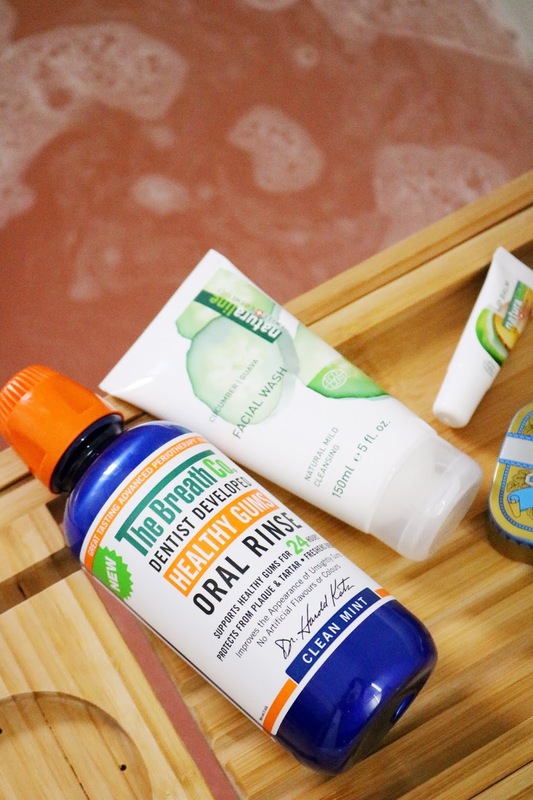 The range is created by Dr Harold Katz who is a dentist and bacteriologist for his patients who suffered from gum health issues. I have been using it on and off for almost a couple of weeks now and I'm loving using it! It makes me feel as though I'm looking after my gums with very little effort and I cannot recommend this oral rinse enough, especially because it isn't mouth burningly minty. I know that it's definitely a bit pricy (although it is currently on sale at Superdrug) but it is not just any mouthwash. As I've said, everyone seems to be coming down with a cold, sore throat, headache or all of the above so it's important to keep on top of your health. Multivitamins are great for everyday use and if you're coming down with a sore throat then pastilles might be useful for you. Sadly as a vegetarian I can't try these as they contain gelatine (why?!) but my mum likes them! Cold, sniffles and sore throats are a constant throughout the colder months and chapped lips are too, especially for me. Lip balms are a winter essential for me, well an all year round essential but particularly around the colder months. I've tried so many lip balms and this one is yet another that is fantastic, very convenient to use and very effective. So many lip balms I've tried over the years are surface level moisturising but thankfully this one seems to keep my lips moisturised and smooth for a while. Another product I've been loving from the natural Swiss brand Naturaline is their cucumber facial wash which contains 99.5% natural origin ingredients, 8.5% of which are from organic farming. The facial wash contains a range of lovely ingredients such as cucumber extract, aloe leaf juice and guava extract. The first skincare range I ever tried in my teens was the Boots own cucumber range which was the cheapest you could buy but it was surprisingly effective, I loved the cucumber scent and this one has a similar refreshing and clean scent. If you are looking for a gentle, non-irritating basic cleanser then look no further. 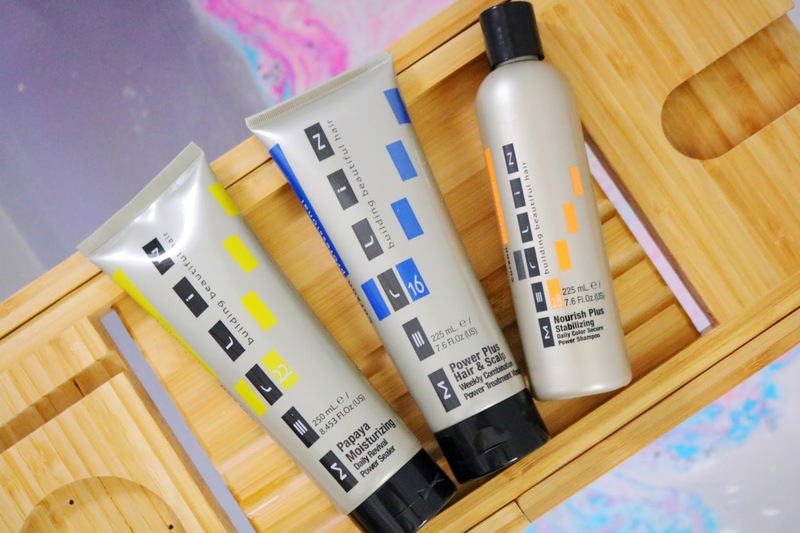 Over the past couple of months, I've come across so many haircare favourites that I want to mention, including the Merlin products that I've already reviewed. One of my favourite 'green' brands is Green People and I cannot recommend their sensitive skincare enough but this is the first time I've tried their haircare. The scent free sensitive scalp shampoo contains aloe vera, green tea and pineapple which sounds amazing and as with all of their products, it's cruelty free and suitable for vegans to use. The scent free shampoo is just what I've been looking for recently as my scalp has been quite dry and sensitive, maybe because of the change in the weather as it's become very chilly recently. It doesn't irritate my scalp, it lathers well and a little goes a long way. I have been loving this shampoo, it's just so simple but so effective. 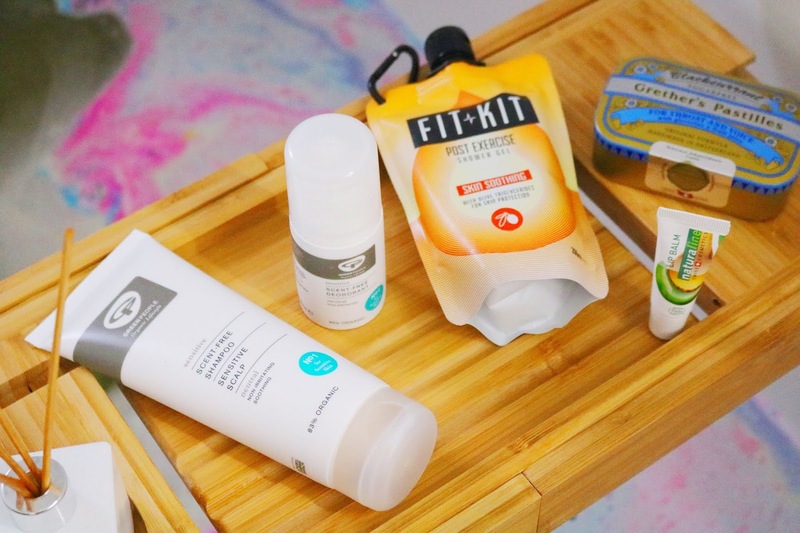 I've now tried quite a few products from the sensitive and scent free range from Green People including their skincare and if you have sensitive skin then I cannot recommend them enough. One item that I didn't realise could be irritating is deodorant so Green People have a scent free deodorant which is 89% organic and contains ingredients such as probiotics, aloe vera and olives. It is a deodorant rather than an anti-perspirant but I have found it to be effective and great for days when I'm working from home. Lastly for my favourites and my haircare favourites (I don't think I've ever had as many haircare favourites as I have done over the past couple of months!) 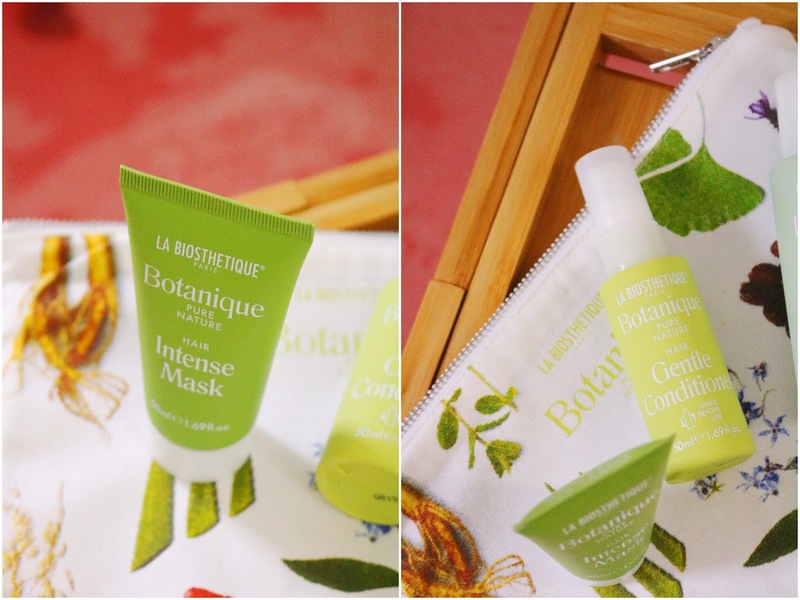 is from a new brand to me, La Biosthetique. I was very kindly sent a few of their mini products to try from Haircare Shop, all of which are suitable for vegans which is fantastic. My favourite product out of the three I was sent is probably the intense hair mask which I actually used as a deep conditioner because my hair and scalp have been so dry recently. The mask is very gentle but effective and left my hair so moisturised with every use, I cannot recommend it enough. La Biosthetique products are divided into a few categories such as gentle, balancing and intense and I have one from each but I think the Intense and Gentle ranges are my favourites of the three. The shampoo is what I've been using constantly over the past week or so and my hair has been loving it! Last but not least the gentle conditioner which is a spray in, leave in product that has been a bit of a miracle for my hair! The spray doesn't soak my hair and it doesn't leave a greasy or heavy residue but it definitely helps to add a little more moisture when my hair is drier and more frizzy than it usually is, which is most of the time. 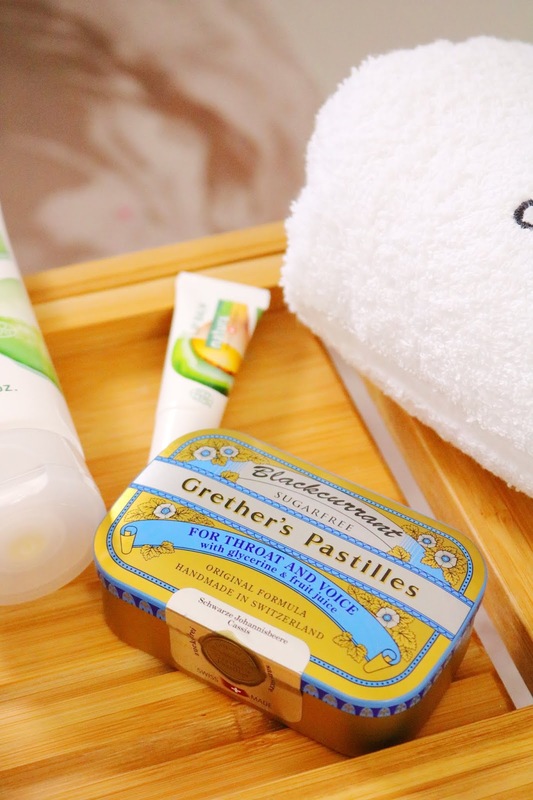 Phew, that's the end of my rather long winter health and pampering favourites post! Have you tried any of these products? I love muscle soakS. I find them so soothing after a gym workout. A lot of really interesting products here. I love a good hair mask. Oooh I've never heard of FitKit! They sound amazing! Going to check them out! I've really been enjoying the Merlin products but I agree with you about the packaging. I really want a cute bath tray!